Of all the hard sayings of Jesus, this one has caused the most serious pastoral problems. Even before I was a pastor, I can’t tell you how many times some guilt-ridden person came to me in tears, begging for an explanation of this verse. Far too many for my taste! 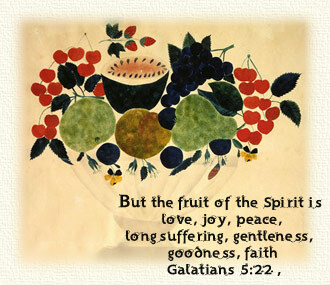 There are people who are predisposed to feeling guilty, either because of their personality type or because they have been pressed down by adversity, so as soon as they come across this passage, they are convinced that they have somehow blasphemed against the Holy Spirit. They are certain of this, even though they haven’t the faintest notion of what exactly constitutes ‘blaspheming against the Holy Spirit’ and even though they cannot recollect ever having done whatever it is. Nevertheless, they are certain that they must have done it somewhere along the line and that explains why they are so miserable. Sometimes they feel so guilty that they come not to have the burden lifted, but only to have it identified! They are convinced they are far beyond the pale of salvation. They are so convinced of their unworthiness that they do not seek to be saved, they only seek to understand why they cannot be saved. In actual fact, these people are miserable, not because they are sinners, but because for some reason they are volunteering for inappropriate guilt feelings. Those of us who are not psychopaths go through periods like that, at least at some point in our adolescence, if not during our adulthood if we face a major crisis about our self-worth. When it happens, we should be listening to John who says that when our hearts condemn us, we should remember that Jesus is greater than our heart—but there are moments when the condemnation of the heart, when combined with this passage, drowns out the loudest and greatest reassurance. But what is the unforgivable sin of which Jesus speaks? The first thing to do in our investigation is to note that I have taken the verse out of context, and that to understand this verse we have to restore that context and understand it. The situation was this: The teachers of the Law came down from Jerusalem and publicly accused Jesus of being in league with Satan, explaining His exorcisms that way. Why did they accuse Him of that? After all, the Pharisees themselves cast out demons all the time, so Jesus’ success at exorcism was not at issue. However, when Jesus did conduct an exorcism, He never invoked God! That led the spectators to wonder where He got the authority to pull it off. Some people correctly deduced that Jesus possessed the personal authority to do it, and were amazed. The learned Pharisees who witnessed the exorcisms refused to come to that conclusion, because that would result in Jesus having the authority of God and they did not want to accept that. So they decided that Jesus must have mumbled the invocation. Since the only reason for mumbling would be to conceal an invocation of Satan, that is what they accused Him of in public. Jesus’ rebuttal went as follows: Satan can’t be casting out Satan, because that is absurd; he would be defeating himself. It doesn’t make any sense. Furthermore, Jesus couldn’t rob Satan of his demons and his victories unless He had more power than Satan did. They didn’t suppose that Satan would give up without a fight, did they? If it is not by the power of Satan that Jesus casts out demons, then it must be by the power of the Holy Spirit, because that is the only other alternative. If Jesus does not invoke that power, the implication is that He already possesses it as a personal prerogative. If Jesus is casting out demons by the power of the Holy Spirit, but the Pharisees slander the Holy Spirit by trying to make people think the Holy Spirit is Satan, then they are clearly blaspheming against the Holy Spirit. So in my opinion, the unforgivable sin, the blasphemy against the Holy Spirit, consists in misusing one’s training and education in the Scriptures to publicly and knowingly slander the Holy Spirit by misleading people into thinking that He is Satan. Clearly no one who does this can be forgiven, because it is through the Holy Spirit that we are forgiven. Also, no one who thinks that the Holy Spirit is Satan will permit himself to be guided by Him or filled with Him or given gifts by Him. So just as pulling the main breaker in your house means that you can never receive electricity, blaspheming against the Holy Spirit means that you can never receive forgiveness, because it turns off the tap through which forgiveness flows! This is not the sort of sin that an ordinary person can commit. Blasphemy is deliberate, public slander. In order to commit this sin, you have to be in a position of learned authority. •Paul said that he was the worst of all sinners, yet he was not only saved but also made an apostle. •If Paul is the worst of all sinners, it stands to reason that you can’t be worse than he was, and judging from his spiritual career, whatever limits are on your calling are higher than you think. •If you feel remorse for your sins and a desire to change, you are obviously not disconnected from the Holy Spirit; and if you are not disconnected, you cannot possibly have committed the unforgivable sin. So to those who are troubled: the surest sign that you have not committed the blasphemy against the Holy Spirit is the very fact that you are worried about it, because that shows that the Holy Spirit is very definitely on speaking terms with you! Copyright ©1995-2005 by the Rev. Kenneth W. Collins and his licensors. All rights reserved.